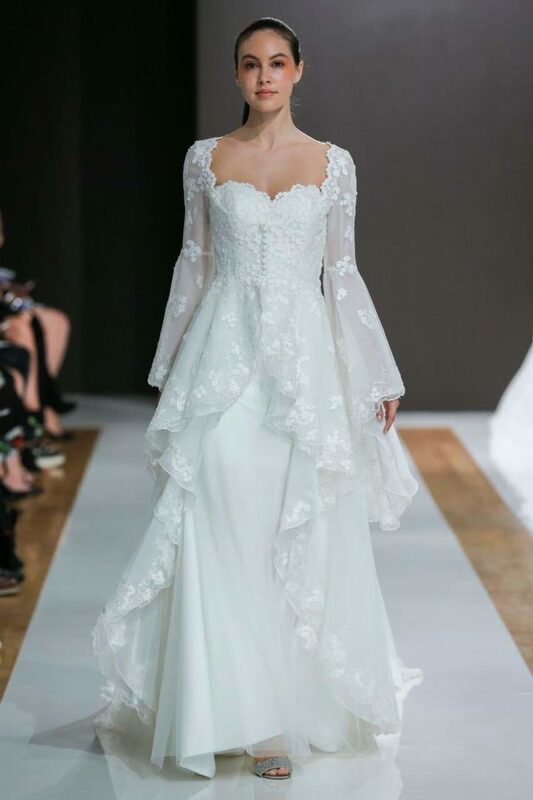 Wedding dresses Mark Zunino 2015, the collection and most elegant models: Mermaid dresses, strapless, Sweetheart necklines and bodices precious applications, these are the most obvious Mark Zunino for 2015 superchic collection. 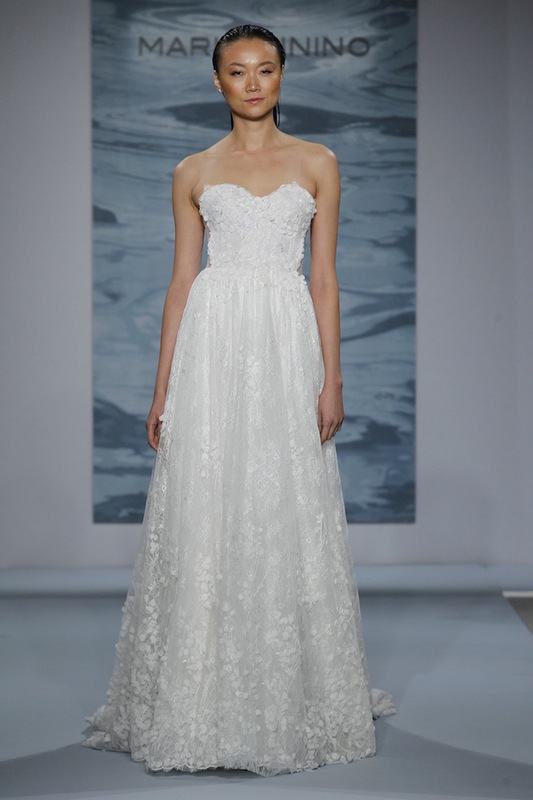 The collection of wedding gowns by Mark Zunino for 2015 has a common thread: the elegance.The clothes of this year’s collection have feminine lines, that enhance the body of every woman, from the curvy bride to slender. Elegance, of course, does not mean trivia: the pregnant bridal wear of Mark Zunino are rich in details, inserts and spot lights, perfect to stand out but without extravagance. 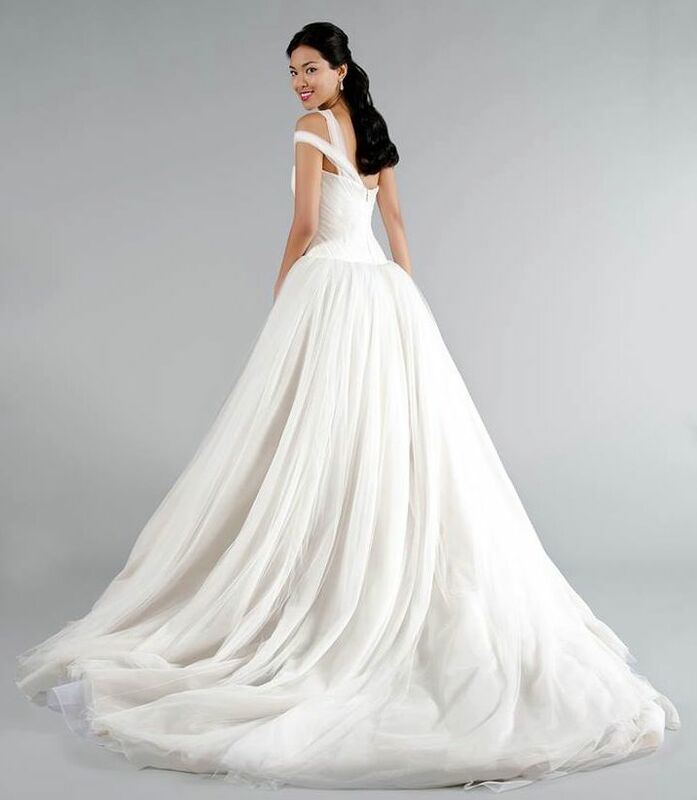 Among the many models are those in siren, with rigid bodices, strapless Sweetheart neckline and embroidered and important. 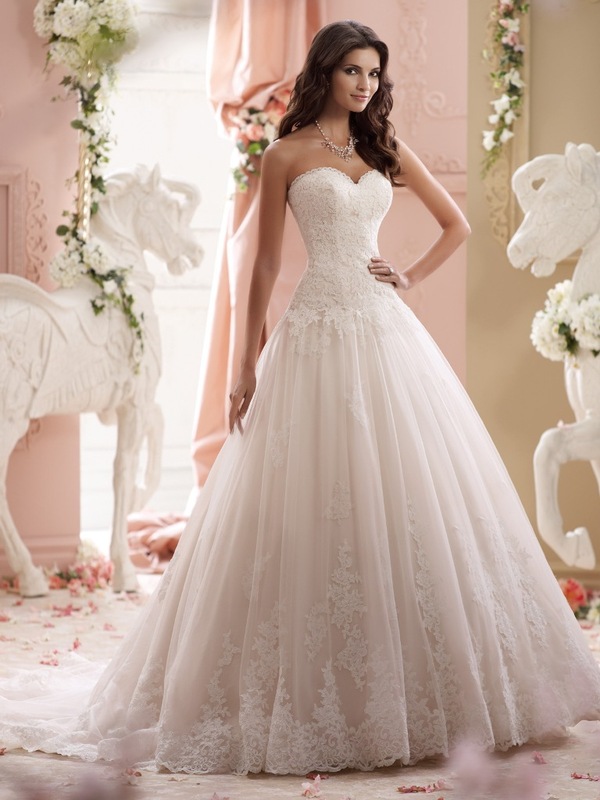 The skirts cannot be outdone and therefore a queue of tulle or organza floral dress and peep at the end. 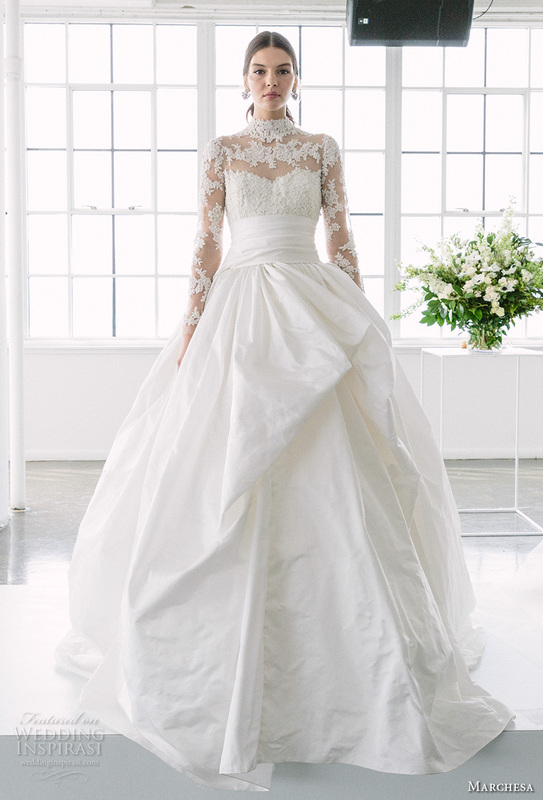 Mark Zunino, however, has options to brides more alternatives and offers wedding dresses, skirt rich and full bodied, conferring for a doll look chic. 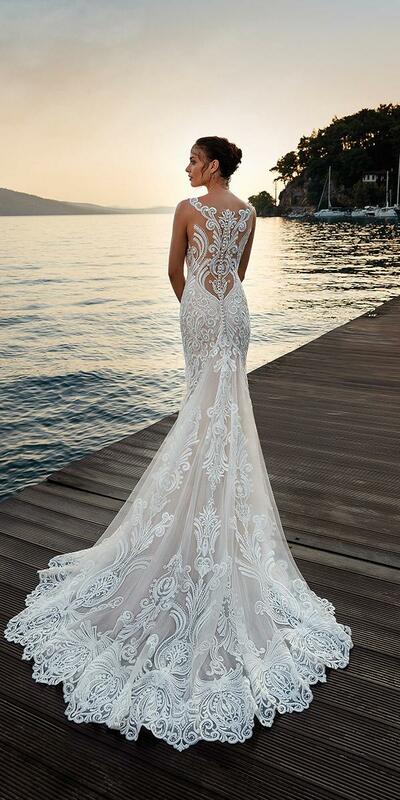 The wedding collection by Mark Zunino for 2015 are very slipped, don’t mark the bride’s body, but the caress. The models dress, embroidered long, don’t stop on the “flaws” but hide them with softness. There are plenty of sexiest models, such as those who leave the backless or one shoulder wedding dresses: allure completely devoid of vulgarity. The typical colors of the brides, white and ivory, are obviously present, but there are also surprises, as the inserts in more vibrant colors that add a shaded effect extremely fashionable and chic.